Milliman and Robertson (M&R) guidelines are widely used by managed care organizations to set standards for length of hospital stay. In this study from 8 hospitals, the observed length of stay for children younger than 1 year who were admitted with uncomplicated bronchiolitis was compared with the goal length of stay of 1 day in the M&R guidelines. The average length of stay in these hospitals was 2.8 days; 11.5% of patients required more than 5 days of hospitalization. No hospital was able to achieve a mean length of study commensurate with the M&R guidelines of 1 day. This study indicates that guidelines must be based on evidence and data. Prior studies indicate that metered dose inhalers with spacers (MDI+S) are clinically as effective as nebulizers in both children and adults in the delivery of bronchodilators. 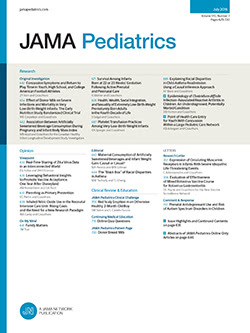 This survey of 375 pediatric emergency medicine physicians in North America reported that the majority still use nebulizers for children in the emergency department. Use of MDI+S was rare for children younger than 2 years, and its use was reported by only 24% of physicians for children older than 6 years with acute asthma. Despite the evidence supporting the use of MDI+S instead of nebulizers in acute asthma, it does not seem to be the standard of care in practice in North America. While the effectiveness of dexamethasone as a treatment for patients with moderate to severe croup is well established, relatively few studies have examined the use of this treatment for mild croup. Luria and colleagues conducted a randomized controlled trial of 264 children with croup, comparing oral dexamethasone with nebulized dexamethasone, with placebo. Children receiving oral dexamethasone had a lower rate of treatment failure, greater improvement, and were less likely to seek subsequent additional care for the illness. Oral treatment is easier to use and seems to be more effective than nebulized dexamethasone. However, 10 children with croup would need to be treated with oral dexamethasone to prevent 1 child from returning with croup severe enough to warrant steroid administration. While it is well known that inner-city children are frequently exposed to violence, there is little information on the psychological and academic effects of such exposure on young children entering school. In this longitudinal study of 119 inner-city children and their families, Hurt and colleagues found that 75% had heard gunshots, 60% had seen drug deals, and 10% had seen a shooting or stabbing in the home. Exposure to violence was associated with increased anxiety and depression and lower self-esteem. Greater exposure to violence was also associated with lower academic success and more days absent from school. These signs of distress are frequently not recognized by parents.